On Friday, November 30, the Honorable Larry D. Harman was celebrated for 26 years of service to the Clay County Circuit Court. Judge Harman was appointed Circuit Judge for the 7th Judicial Circuit in 1992. Judge Harman had previously served as Clay County Prosecuting Attorney and as City Attorney for Smithville and Lathrop. His career is marked by distinguished service, volunteerism, and a profound commitment to justice. 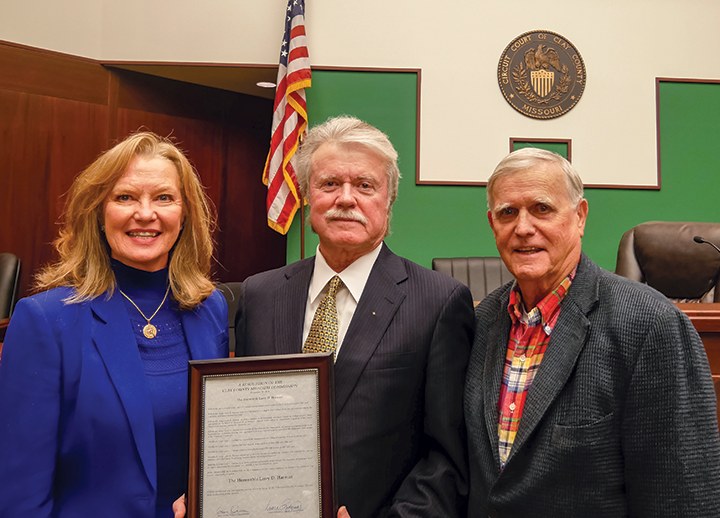 Clay County Commissioners recognized Judge Harman’s outstanding tenure with a Resolution of the Clay County Commission.